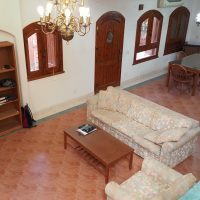 Luxuries Villa 4 Bedrooms in Sharm El Sheikh for sale. Ready to move in with American furniture. Ready to move in with American furniture, area of 304 m2 and land of 430 m2. Can be used as a Residential or Commercial space. It consists of 4 Bedrooms and a dressing room in the master bedroom with a Jacuzzi in the master bathroom. The villa has 2 bathrooms .Open Kitchen equipped with custom made oak cabinets. Laundry Room accessible directly from the kitchen. 2 Storage rooms. Open Space Design. American southwest architecture and colors. One of the most interesting design features of the house is the abundance of natural light in the living zone which is achieved by a combination of decorative glass blocks and stained glass windows. This Ad has been viewed 252 times and got 3 replies.